WASHINGTON, Jan. 2 (Xinhua) -- U.S. economic growth is expected to slow down in 2019 due to factors including the diminishing effect of fiscal stimulus, further tightening of financial conditions, rising market volatility and trade uncertainty, experts have said. With annualized growth rates of 2.2 percent, 4.2 percent and 3.4 percent for the first three quarters of 2018 respectively and a 2 percent range expected for the fourth quarter, the Federal Reserve estimated that the U.S. economy would wrap up the year with a 3 percent expansion, much higher than the average 2.2 percent annual rate between 2010 and 2017. However, economists warned that the boom is by and large led by the U.S. government's tax cuts and spending increases, and that there are signs that the dividends of those measures are diminishing while the Fed's monetary tightening will weigh more on U.S. growth. "Fiscal boost becoming a fiscal drag and more tightening in financial conditions are going to mean that the growth is going to decelerate," Jeremie Cohen-Setton, research fellow at the Peterson Institute for International Economics, a Washington think tank, told Xinhua in a recent interview. He expected the U.S. economy to expand at around 2.5 percent in 2019. "The slack is diminishing, therefore you're going to have more wage pressures," he said, adding the Fed would continue tightening monetary policy as U.S. inflation "is going to overshoot the target (of 2 percent) a little bit." The Fed raised interest rates for four times in 2018, and most Fed officials envisioned two rate hikes in 2019. "It is more likely that the economy will grow in a way that will call for two interest rate increases over the course of next year," Fed Chairman Jerome Powell told a press conference on Dec. 19. The Fed anticipated that U.S. economic growth would decelerate to 2.3 percent in 2019. Powell also emphasized at the press conference that the Fed's policy decisions are "not on a preset course." "There's a fairly high degree of uncertainty about both the path and the destination of any further increases," he said. But some experts argued that the Fed's latest rate hike in December, amid market volatility, was "questionable" and "an error." "It felt like a model-driven decision ... occurred despite market turmoil that had continued too long to be ignored," Tim Duy of the University of Oregon wrote recently in his Fed Watch column. Duy noted that there was "no pressing reason" for a rate hike other than Fed officials "insist on defining policy on the back of long-run forecasts and feel compelled to follow-through with that policy." What will add to the downside risks, analysts said, is the prospect of a protracted stalemate over government budget, which has paralyzed a quarter of the federal government for more than a week now, leaving some 800,000 federal workers furloughed or working without pay. Although the impact of the partial government shutdown on the overall economy remains limited for the time being, it will no longer be negligible if the closure were to persist, especially in a time of market volatility. Concerns about a loss of growth momentum in Asia and Europe would also likely weigh on U.S. growth. "For the rest of the world there seems to be some air coming out of the balloon. That will come back and also affect the U.S.," the International Monetary Fund's outgoing chief economist Maurice Obstfeld told reporters in early December. Meanwhile, U.S. President Donald Trump's alleged displeasure with Powell, the stock market turbulence and ongoing trade disputes are all stoking uncertainties in the U.S. economy heading into 2019. Following the imposition of steel and aluminum tariffs worldwide on the ground of national security, it is not yet clear whether the U.S. government will slap new duties on imported cars and car parts in 2019. 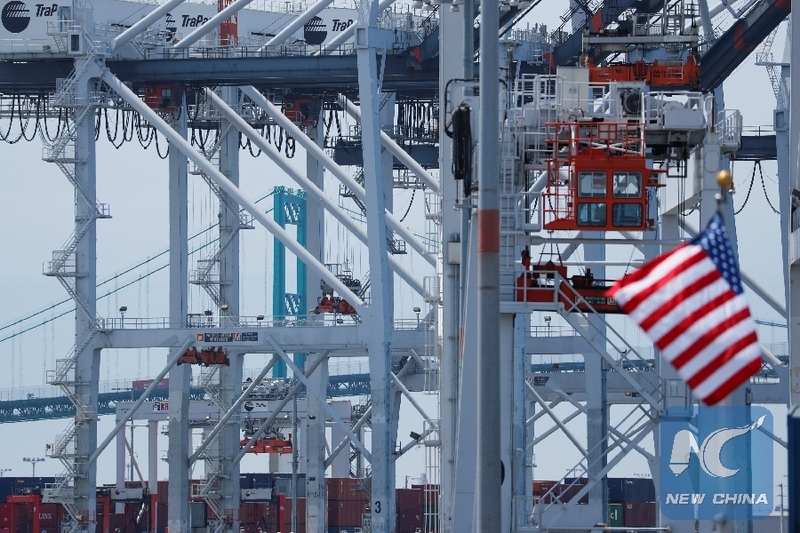 The European Commission warned in a written document sent to the U.S. Commerce Department in June that some 300 billion U.S. dollars' worth of U.S. exports will likely be hit by retaliatory measures from other economies subject to the potential auto tariffs. In addition, whether the U.S. government is capable enough to respond to a slowing economy or other contingencies and stabilize the market remains to be seen. Investors fear that a lack of experience coupled with personnel shortage may lead the U.S. government to miscalculation and policy failure, further unsettling the market. The U.S. Treasury Department had been blamed by market participants for sending, at times, "muddled and confusing signals", according to U.S. media. In a move to quell market volatility, Treasury Secretary Steven Mnuchin on Dec. 23 convened individual calls to chief executive officers of six major U.S. banks. Mnuchin's effort to reach out to the private banking sector was not only rare for a senior government official, but also of no avail, as the Dow, the S&P 500 and the Nasdaq all tumbled more than 2 percent on the first trading day following the Treasury Department's statement. The New York Times said that Mnuchin conducted "the type of discussions usually reserved for moments of crisis." Thomas Simons, a senior economist at Jefferies LLC in New York, pointed out that technical factors, including sell orders driven by tax considerations and low year-end volume, could exaggerate the plunge in the stock market. "The first couple weeks of January will be telling as to whether this selling in December was technically related or actually fundamentally based," he was quoted by Bloomberg as saying. Despite a lift in major indices on Monday, U.S. stocks ended 2018 with the steepest annual declines since the 2008 financial crisis, and many have cautioned the coming of a bear market after almost a decade of bull run.